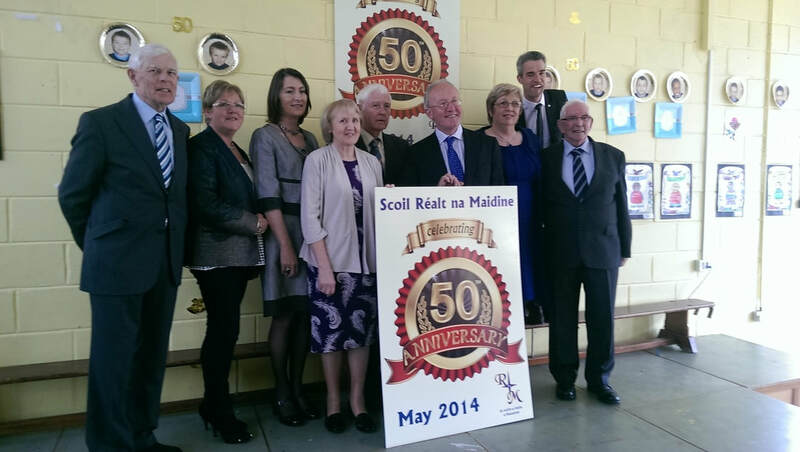 Founded in 1964, Scoil Réalt Na Maidine (Morning Star) is a boys' primary school with special classes situated in the Ballyphehane area on the south side of Cork City, just off Tramore Road and close to Musgrave Park rugby ground. We enrol boys from Junior Infants to Sixth Class throughout the school year and in our Special Classes for Children with Autism as vacancies arise. Storage area will be trebled in size. New IT equipment. We will have 20 tablets, 20 computers and interactive screens in every classroom. Our playground will be three times the size of our current playground. We will continue to have access to world class ETB sports facilities that we share with Coláiste Stíofán Naofa, including GAA pitch, full soccer pitch and astroturf sports field. Our office is now equipped with state of the art online administration tools such as Aladdin and Primary Planning Tool and digitised filing systems. Our students have access to several new programmes such as Robotics/Digital Stategy Initiative, Student Council, Happy Talk, Cycle Right, Get Up Stand Up and-from September 2019-the excellent Incredible Years programme. We are always looking to improve and evolve. We appreciate that it has taken several years to get to this starting point. The process of change is rarely straightforward. Many meetings, phone calls, interviews, tendering and begging the Department of Education have been necessary to get the funding and approval for the project. We thank you for your trust and patience and we are confident that we will all reap the rewards. ALL QUERIES REGARDING LITTLE STARS PRESCHOOL SHOULD BE DIRECTED TO MICHELLE ON 087 3114463. PLEASE DO NOT RING THE MAIN SCHOOL OFFICE BECAUSE THE SCHOOL AND THE PRE-SCHOOL ARE SEPARATE ENTITIES WITH DIFFERENT BOARDS OF MANAGEMENT. THANK YOU FOR YOUR CO-OPERATION. 2018 saw the passing of our esteemed former Board of Management Chairperson, Mr. Bill Fitzgerald (far right in the photo-taken during our 50th Anniversary celebrations in 2014). Bill contributed enormously to the life and development of Morning Star over 30 years. We are indebted to his service. Ar dheis Dé go raibh a anam. ​Our stars from Junior Infants, Green Class, Senior Infants, Blue Class, First and Second. Watch the video here and see if you can work out our theme. We are all so proud of them. Principal of Morning Star N.S. Autism Awareness Week takes place in April in Morning Star N.S. The school holds a number of events for pupils, parents and staff to raise awareness. ​It's always a great success. Thank you to everyone for getting involved! During Autism Week the students learned a lot about Autism - Lámh signs, they watched a video showing our similarities and differences, they attended an ASD themed Assembly,they listened to Mrs.Fitzgerald speaking about what the children with ASD do everyday and they integrated into the ASD classes. The boys formed new relationships and learned more about their similarities. John Hourihan wrote the following piece on what he learned during Autism Week. "Autism is a very common condition. A lot of people do not fully understand what it means to have Autism. There are loads of different types of Autism from Mild to Moderate. It is important for people with autism to have lots of coping strategies. We must be patient with them. Our pen pal project with Woodstock Elementary School, Connecticut, USA. Our boys exchanged letters, photos and videos with the 4th Grade class. Left: Mr. Deasy with the 4th Graders in Woodstock Elementary School, Connecticut, USA.